An intuitive and elegant bookmark manager that lets you organize, sort, and browse your bookmarks just like files on your desktop. Try live demo!Sign up for $2/month! It isn’t often you find a product that can improve your everyday life. Bookmark OS is one of those products. I've literally tried every bookmark manager out there and Bookmark OS is the best! I use it every day. Thank you!! Bookmark OS is exactly what I was looking for: an ad-free, browser-based bookmarking service with excellent support to boot. It won me over with its clean design and solid functionality. Bookmark OS is a responsive website. Use it on your laptop, phone, or tablet. Artificial intelligence learns the content of your folders and gives you folder suggestions when creating bookmarks for fast saving. Find that perfect folder in one click! 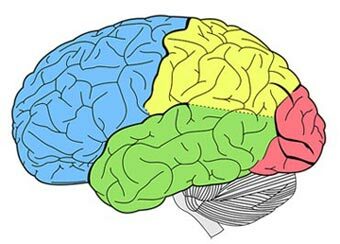 Web page screenshots are used as icons, giving you a useful way to visualize your bookmarks. This makes browsing easier by allowing you to recognize bookmarks without even reading. "Oh yea, I remember that hilarious gif of a tiny pug in a unicorn costume!" Can't find a bookmark you opened last week? Click 'View all' and sort by last opened. Or maybe you remember a bookmark's site but not the exact name? Sort by domain. Sorting gives you new and powerful ways to organize your bookmarks. 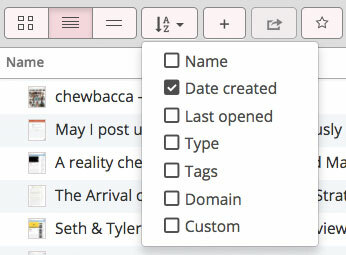 If a tag is active, only folders that have a tagged bookmark nested inside will show. 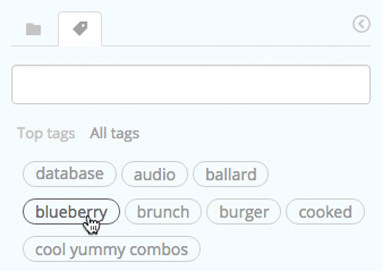 This allows you to leverage the power of tags and folders together. For example, you could use a general 'to read' tag and organize them all in different folders. Live image previews are used for photos and GIFs, making it easy to see. Icons are also used for certain file types. For example, if you bookmark a pdf, word doc, zip, or txt file, the appropriate icon will be used. Time filters allow you to focus on bookmarks created after a specific time. For example, you could enable the, "last week" filter which will only show bookmarks created within the last week. A simple yet powerful text editor allows you to create notes and keep them organized. You can even highlight, copy, and paste content from a website into a note and it will clip it. This is useful if you want to preserve a recipe or just want to save part of a website, for example. The browser url updates as you navigate allowing you to bookmark any view. For example, you could bookmark a url for all starred bookmarks from the last week. Select an image from a url to use as the icon. Perfect for recipes and products. There are tons of new features to come!